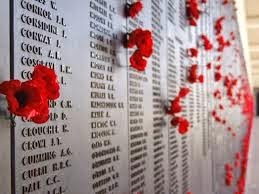 More people are attending ANZAC dawn parades across the country than ever before and the harsh realities of past wars are becoming more widely known. We now know about the lost opportunities that could have avoided military conflict, the poor decisions that caused huge losses and the treatment given to those who refused to fight. I hope that this knowledge will make it harder for current and future New Zealand governments to engage our nation in military conflict. It is also much harder now for war propaganda to be effective when the internet can readily counter misinformation. We probably have more to fear from rogue trade agreements than from World War 111. While many stood in the rain beside the Invercargill cenotaph this morning, remembering the hundreds of soldiers listed, few would be thinking of those who are still living, but suffering, in our community. While I think it is extremely important that we do remember the lessons of war, there does seem to be a greater focus on empathising with the suffering endured by those no longer alive than recognizing those in need of support today. According to this article social services are being inundated with calls from families reaching out for assistance. Family Works director Judith McInerney has seen a dramatic increase in demand for services over the past few years. 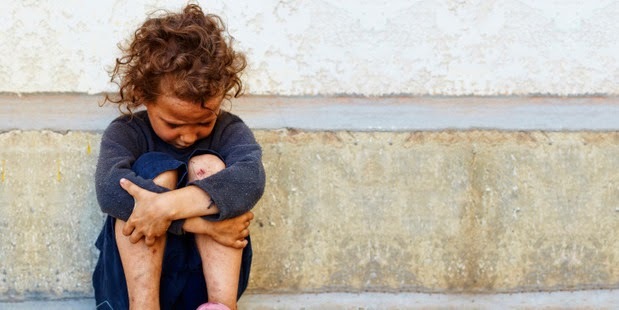 This demand has also been reflected in other providers of family support with Nga Kete Matauranga Pounamu Charitable Trust and Barnados experiencing similar increases. When Invercargill has low unemployment (4.9%) the fact thousands of families are needing support is a concern. Age Concern Southland manager Janette Turner said that referrals for support had more than doubled in a year, up from 96 in 2012 to 220 last year. The number asking for food parcels had also doubled. Turner explained how many retired people were embarrassed by their situation and often refused help, they were proud, had worked hard and valued their independence. The increasing costs of power, food, medical bills and rent are causing many to struggle. Growing numbers of homeless people are being helped by the Salvation Army in Invercargill, highlighting the need for a shelter to be established. According to Salvation Army captain Perry Bray, "It's a bigger issue in Invercargill than most people recognise." He also explained that homeless people were not only those living on the streets but sleeping on couches in other people's houses because they had nowhere else to go. These articles provide convincing evidence that our economic recovery is not being experienced equitably. Those who gave their lives in past wars had the belief that they were fighting for a better future for our country and I am sure that they would be appalled that we are currently generating great wealth for some yet have so many who are struggling. While we remember and revere the dead let us not forget the living.